HCM CITY — Digitisation of the economy is inevitable and would help HCM City achieve sustainable development and resolve its problems like traffic jams, flooding, pollution, and climate change, a forum heard in HCM City yesterday. 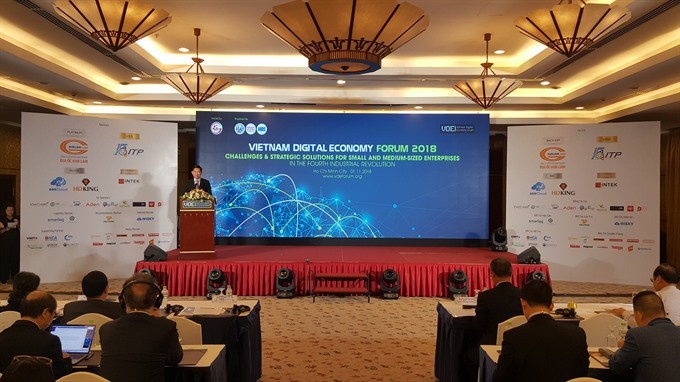 “In HCM City 80 per cent of the population owns smart phones and it has the largest number of internet users and technology companies,” Trần Vĩnh Tuyến, deputy chairman of the city People’s Committee, said at the 2018 Việt Nam Digital Economy Forum. Deputy Minister of Information and Telecommunications Nguyễn Thành Hưng said the Government is now focusing on creating a digital economy. "We would like to learn from international and local experts about many problems," he said. “How can Việt Nam set up fast and effective digital infrastructure? How can we have a proper legal framework that can properly address existing and new issues like Grab and traditional taxis? 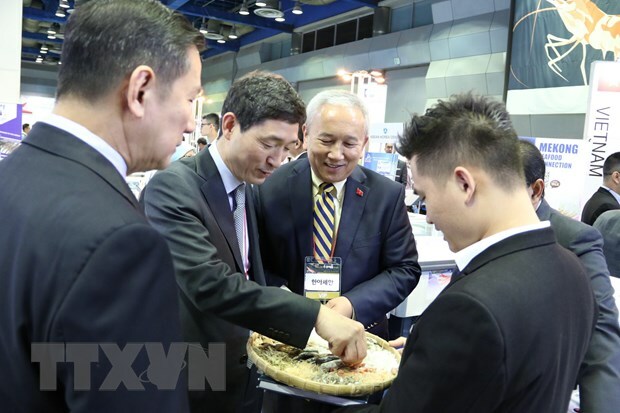 Vũ Ngọc Anh, CEO of the Association of Vietnamese Scientist and Experts (AVSE Global), said the Fourth Industrial Revolution had been having structural impacts on the global economy and society. "Every day millions of people benefit from innovative services offered by Uber (transportation), Airbnb (hotel business), Facebook (communication), Alibaba (retail & wholesale e-commerce), LendingClub (personal credit), Coursera (education). Digital technology is a tool to improve the productivity of firms and boost the economy of countries," he said. “The forum aims to provide a platform for leading experts, policy makers and enterprises around the world interested in this topic. “The objective is to share strategic visions and practical experiences of pioneers and the trend of inevitable movement towards a digital economy and evaluate current situations, challenges and opportunities related to the digital economy. Nguyễn Thành Phúc, head of the information ministry’s Authority of Information Technology Application, said Việt Nam is now ranked 88 out of 193 countries in electronic governance by the United Nations, one place up from 2016. “The national database on people, land and finance has been delayed, delaying effective electronic governance. “Online public administrative services are designed independently and do not place the public and enterprise community at the centre. The Government has set a target of increasing the rate of online public administrative services from the current 7 per cent to 30 per cent by 2020, while developed nations have long exceeded 90 per cent. Other goals include having 25 per cent of online public administrative services accepting payment online and 50 per cent of all cases related to online services being completed electronically. “We have suggested allocating mobile IDs for everyone for signature authentication, just like enterprises using digital signatures,” Phúc said. All activities of the public and enterprises would be updated and using digital public services would be made easy for them, he said. The forum attracted 21 foreign and local experts and 300 delegates, who discussed Việt Nam’s digital economy scenario, how the digital technology affects small and medium-sized enterprises’strategic decisions, digital technology applications for improving the competitiveness of SMEs, and digital services support for SMEs.